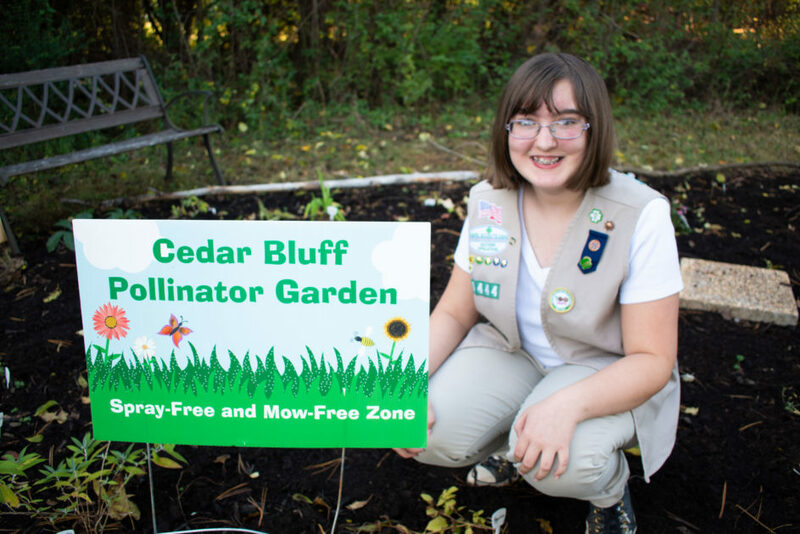 Silver Award Girl Scout Sarah Alarcon had a unique vision: create a pesticide-free pollinator garden at Cedar Bluff Middle School to help increase the dwindling bee population. The 520 square-foot garden utilizes local plants to attract pollinators, such as bees, butterflies and birds. 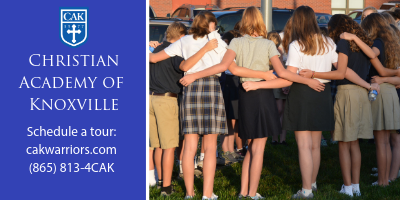 Sarah’s goals were to build a sustainable and healthy garden that Cedar Bluff students could maintain and learn from for years to come. As a Girl Scout for nine years, Sarah learned about the dying population of bees and their importance. She strategically picked the garden spot in a field behind the school, an area her science class had visited a year prior for protection. For inspiration, Sarah took field trips to Knoxville and the University of Tennessee Botanical gardens. Her science teacher, Dave Gorman, was a passionate proponent, helping with school connections and permission. Linda Denton, from the UT Master Gardeners Club, was instrumental in the plant selection and planting. All the hard work paid off; the garden is now part of an outdoor, all-natural educational classroom for Cedar Bluff. 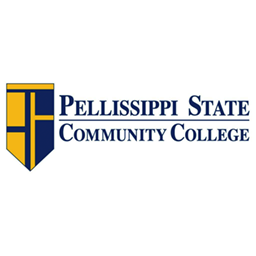 Project donors included the Joyce Maienschein Leadership Grant, UT Master Gardener’s Club (Linda Denton), UT-Agricultural Extension Office (Neal Denton), Elder’s Ace Hardware, Stanley’s Greenhouse, Living Earth Organics and Sunlight Gardens. Native flowers to East Tennessee were selectively chosen as they’re better for pollinators. Non-native plants can be harmful and spread rapidly. Sarah’s favorite part of the project was educating and teaching the Girl Scouts in her troop about pollinators’ importance and the conservation of natural resources. She is currently planning to lead a “Save the Bees” workshop. Brooke Conner is a creative specialist for Girl Scouts of Southern Appalachians.